Signs of library use: There is a library cataloguing pocket that is stuck on to the last page of the book. Name of library is not indicated. 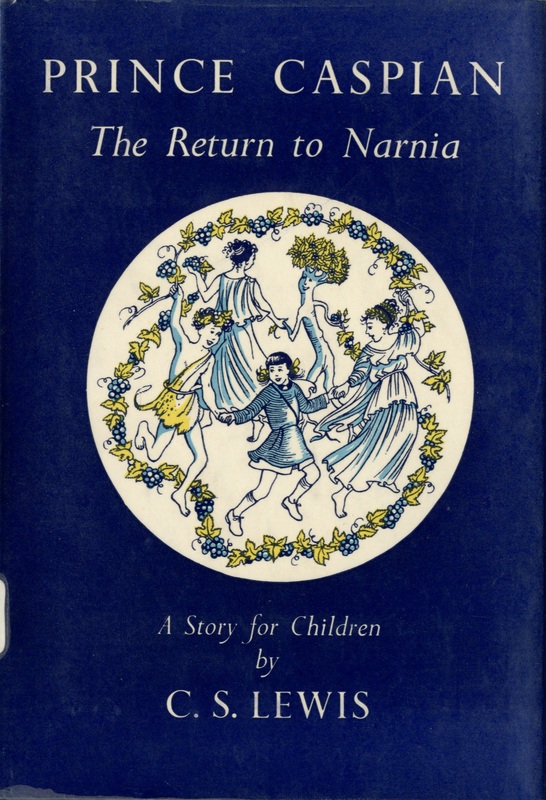 Lewis, C. S. (Clive Staples), 1898-1963 and Baynes, Pauline (Illustrator), Prince Caspian: The Return to Narnia, London: Geoffrey Bles, 1951 (Copyright), Children's Literature Archive, accessed April 24, 2019, http://childrenslit.library.ryerson.ca/items/show/7549.